Get Northwest news that matters — faster than ever. 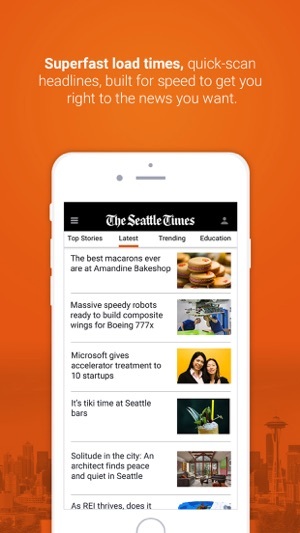 The new and improved Seattle Times app is superfast to get you right to the news you want. We deliver the fastest news experience possible, with content you won’t find anywhere else. - Complete local sports coverage of Mariners, Seahawks and Sounders, so you never miss a play. 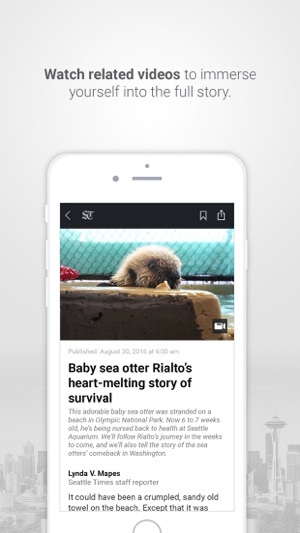 Users can read up to 15 articles free per month. 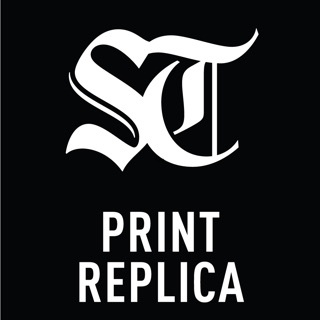 Seattle Times subscribers can log in for unlimited access to all of our award-winning content. Users can also subscribe to get Unlimited App Access straight from the app for $9.99 per month. Your subscription will automatically renew each month, with the credit card associated with your iTunes account being charged. Cancel anytime by going to your Account Settings after purchase. Subscription automatically renews unless auto-renew is turned off at least 24-hours before the end of the current period. Account will be charged for renewal within 24-hours prior to the end of the current period, and identify the cost of the renewal. Any unused portion of a free trial period, if offered, will be forfeited when the user purchases a subscription to that publication, where applicable. I have edited this review because I am so irritated by the distracting and irritating ads that have me trying to cover them as I attempt to read the news. Who needs to see a guy pogoing himself painfully onto a fence over and over again when one is trying to read the news? Not me. I understand how challenging it is for newspapers to make a profit these days. This is why I pay for subscriptions. I am a subscriber (also of NYTimes, WA Post and WSJ apps). Seattle Times, I can read my print edition, delivered daily, but I'd really prefer no ads on the app because I like to read on my iPad first thing in the morning. I also HATE the implied "breaking news" dot that shows on the app icon when there IS NO BREAKING NEWS. This makes your online experience less relevant and less trusted. An app redesign is needed. Badly. UX implies iterative improvements, and clearly the Seattle Times digital media department does not subscribe to this theory. It's too bad, because I would love to love my local newspaper. 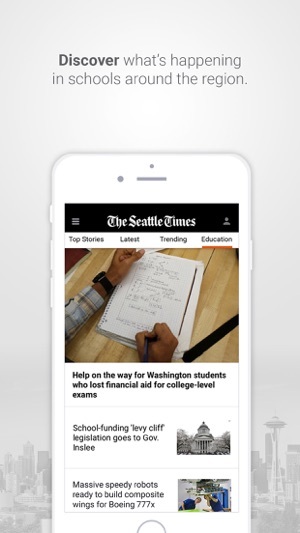 The app and its stability is pretty great, but the way they go about the articles feels a little cheap and unbecoming of the Seattle Times. I understand having to pay a subscription fee, and that’s not my beef with the app. My beef is the way they push notifications to your phone that seemingly have a full story, but then you click to open the story using one of your sixteen articles for the month just to find out the story is 1-2 paragraphs long. In fact, 1 out of every 4 articles or so is like this, and as a result makes the app feel cheap and like a money grab, especially when they’re constantly reminding you of how many you’ve read that month and then pushing you to subscribe. I enjoy a relevant, quality news organization as much as anyone, and understand the need to pay for news, but I think the non-subscription method could be fixed in order to draw in more people, people who would actually pay for the subscription at some point in time if it weren’t for the cheap, tacky feel the app gives off. The app is only ok for reading the latest news, but I'm disappointed that content I receive for my paid subscription is the same as the free app. I even called your office to assist me in reinstalling the app because all I get is an abbreviated version of the print paper. We were loyal subscribers to the print paper for 20 years and wanted to continue our subscription when we moved to Oregon, but the cost was prohibitive, so we settled for paying for the online subscription. 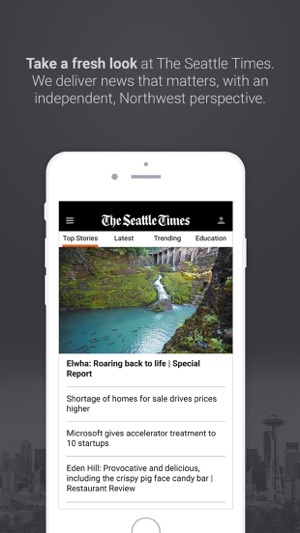 If you're going to offer a paid online subscription, I would like to see the app offer the same content since I only read the news on the go and don't have time to sit at my computer. I miss my comics and gardening sections! I'd like to see a search feature too. Please offer your paid subscribers a way to get more content. Otherwise, I don't see any benefit to paying for the subscription.